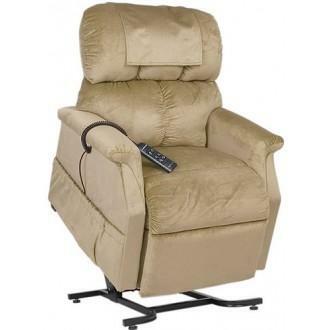 With Golden Technologies’ MaxiComfort lift chairs, you can experience the zero gravity difference. This spectacular resting position relieves virtually all pressure on the lower back and has therapeutic effects on many other areas of the body. While resting in the zero gravity position you will experience expanded lung capacity and improved circulation on top of back pressure relief. 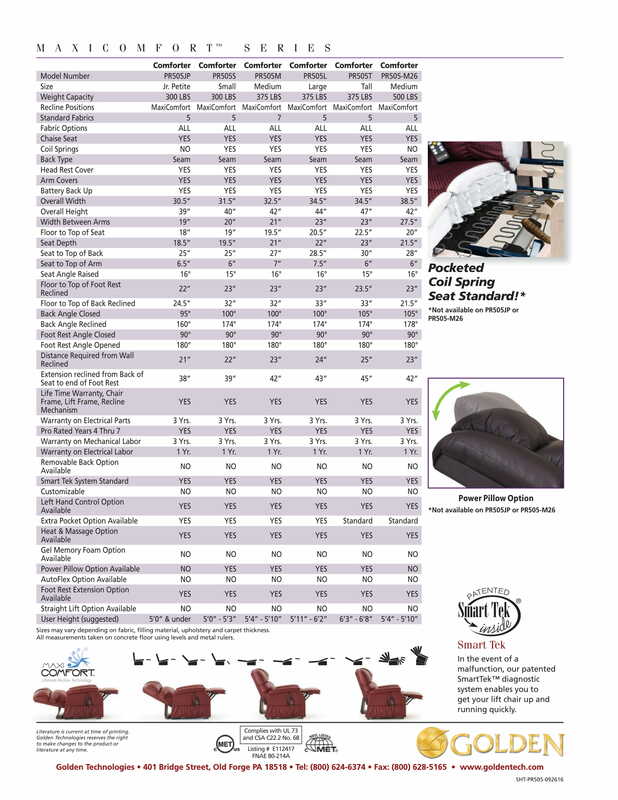 The PR-505 is a full-featured lift chair, and a popular entry in the MaxiComfort line. With its timeless, versatile style and simple two-button control, this model should have no problem meeting all your needs. Golden Technologies: Maxicomfort PR-505L Zero Gravity has a rating of 5.0 stars based on 1 reviews. 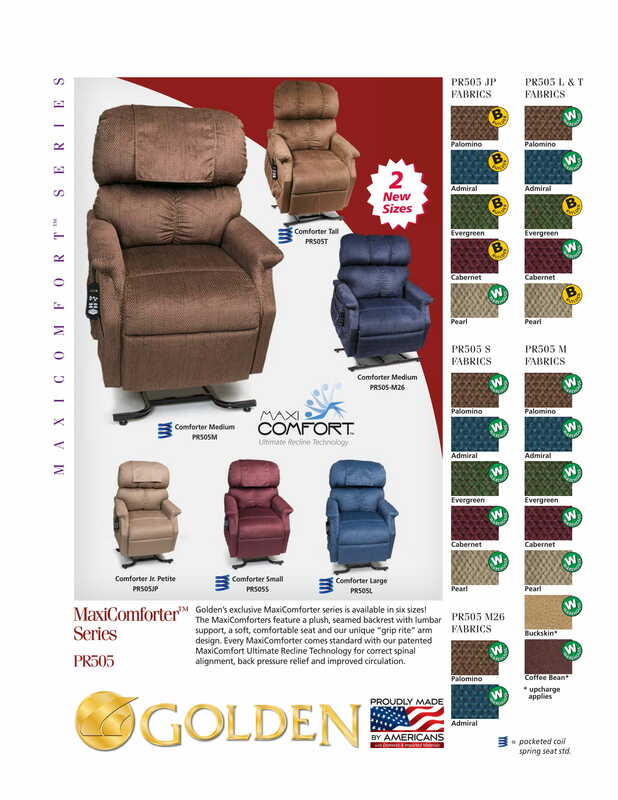 Why Golden: Maxicomfort PR-505L Large Zero Gravity Lift Chair? 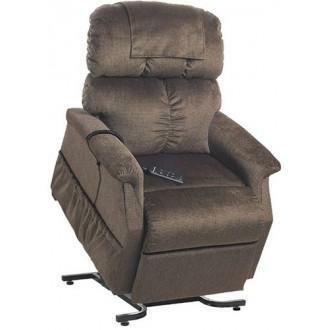 The PR-505 is a full-featured lift chair and a popular entry in the MaxiComfort line. With its timeless, versatile style and simple two-button control, this model should have no problem meeting all your needs.